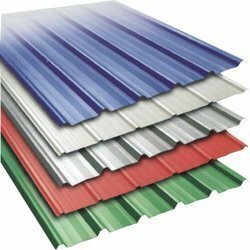 Offering you a complete choice of products which include color coated profile sheets, profile sheets, tile roof sheet, profile roofing sheets, color profile sheets and pre-coated profile sheets. Color Coated Profile Sheets offered comprise qualitative rage of Color Coated Profile Sheets that are made available in precision design and construction standards so as to perfectly match up with the specifications as demanded by the customers. Designed under guidance by professionals, these we ensure these are developed strictly in compliance with defined industry guidelines by using superior grade base material to provide for longer service life standards. We bring to you an extensive collection of Profile Sheet that are extracted from the quality materials, which are sourced from the reliable vendors of the market. These sheets are manufactured according to client. 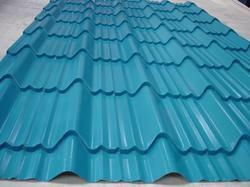 We are involve in offering superior quality Profile Roofing Sheet . 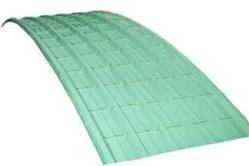 These Profile Roofing Sheet are made from high quality of raw material which ensure durability at its user end. 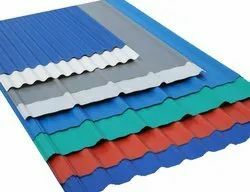 These sheet are admired for their superb finish, high tensile strength, corrosion resistance, precise dimensions and easy installation. Our domain expertise has enabled us to come up with an excellent collection of Color Profile Sheets. We procure these sheets from reputed vendors of the market, who fabricate these using high grade raw material. All our offered color profile sheets conform their accordance with industry standards. 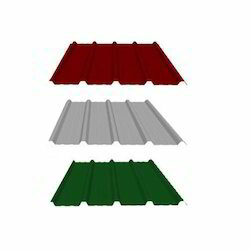 The offered color profile sheets are widely used in various commercial and industrial sectors. Further, we offer these profile sheets to the customers at market-leading prices. In our wide range of products, we are manufacturing and supplying Pre-coated Profile Sheets. The Sheets are manufactured using high quality raw steel with most advanced technology. These are highly demanded in various construction sectors. Moreover, these are better known for their durability and quality standard finish. Further, the sheets are available at industry leading prices.